Infographic is a representation of information in a graphical format designed to make data easy to understand in a blink. People use Infographic design to quickly deliver a message, to simplify the display of large amounts of data, to see data patterns and relationships, and to monitor changes in variables over time. Infographic design is used to make data easy to understand at a glance and it blends information with graphics. Infographic design marketing is an amazing marketing strategy that promotes brand awareness and increases the credibility of the company. Visual communication also includes the results of the case study and research results to make the content more trustworthy and interesting. Even the most complex industries have the opportunity to display their strengths without doubt by using skillful infographics. Let’s explore some proven ways that Infographics helps the company expand. When it comes to increasing customer base through digital media such as the Internet, Infographics is the best choice for small business owners and startups. As a content marketing strategy, Infographics integrates both information and statistics that can never be noticed by the public online. Infographics’ biggest asset is that it can be customized in such a way that it can effectively communicate information to visitors of different age groups on the Internet. Moreover, graphics and images enhance visual interaction. Sites that use Infographics as a content marketing strategy saw an increase in average online traffic by 12%. 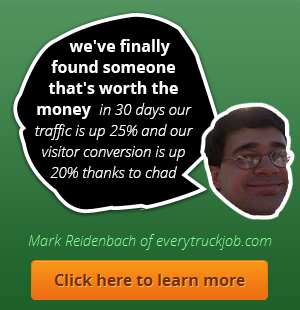 So, visitors can be paid to the website in a very big and important way. Information graphics can also bring some kind of high-quality link building to boost traffic. Adding backlinks in Infographics is a great strategy to increase traffic to a site or blog. Infographic design marketing makes a company successful by increasing its credibility. Companies prefer to integrate Infographics with information, statistics, research and case studies into digital preparation at present from reliable sources to determine the credibility of their brand. This way, they try to display their work. With the help of Infographic design marketing, companies can incorporate their logo, to create a company identity, their good brand awareness, and tell a nice story about them. When Infographics become widespread, companies can reap benefits. But remember, you should make sure they are visually attractive and loaded with compelling information. To increase sales and sales of the company, it is important to access the niche market or target audience, and Infographics will help you achieve exactly that. This way, you can stay ahead of your competitors in terms of competition and climb the ladder of success more easily in the market segment. If you want to grow your business, it’s the perfect way to do it. It’s the ideal marketing strategy for content that paves the way for success. Infographic design marketing can offer you a great number of ways for your business to stay ahead of the competition. If you’re looking to grow your business and make it more prominent, the charts will certainly help you pave the way for success.